"Qiu Sheng's stylish debut feature is a seductively inscrutable puzzler (...) Viewers, too, may feel at once cast adrift in the film’s amorphous quests." "Enigmatic but oddly entrancing feature debut (...) Qiu takes delight in teasing the audience with inexplicable temporal twists and turns." "[Sheng is] very clearly his own artist, and this movie is an assured debut." 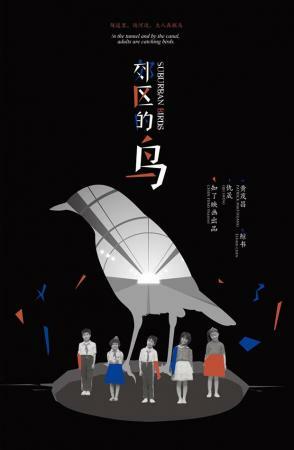 "'Suburban Birds' has a dreamy, wandering intensity (...) Qiu is ambitious and talented, but 'Suburban Birds' ultimately lacks the mythical-poetic gravity of, say, 'Stalker' (…) Rating: ★★½ (out of 4)"
"This pleasing, if perplexing, feature debut from Qiu Sheng takes an agile and experimental approach to structure"